Ever wanted to know what travel tips food people have up their sleeves? The beautiful and talented Nina Karnikowski interviewed a host of chefs and food people including Christine Manfield, Sepia's Martin Benn and Saskia Beer...oh and me! For our top tips on eating well on the road. AIRLINE FOOD IS...Fantastic at the pointy end of the plane, but is always better across the board in Asia. The Chefs' Line: ON AIR NOW ON SBS! "Lights...cameras...just do your best, darling." The Chef's Line starts Monday 3 April on SBS. For all the latest, CLICK HERE. 52 television episodes shot over 26 days, in just 5 1/2 weeks...now THAT'S the definition of a pressure cooker! Earlier this year, inside a converted iron foundry - turned studio, I found out exactly what it takes to make a 5 day a week television show. The Chefs' Line is my first major TV gig, but as they say, go big or go home, right? 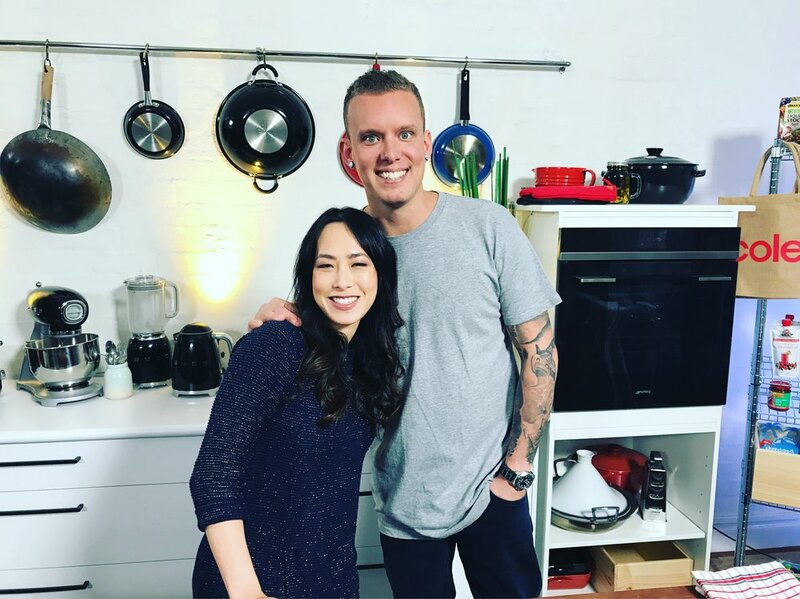 The premise of the show is simple: celebrating the incredible diversity of food culture we have in Australia, week by week, in the (now) very familiar format of a cooking competition show. Four home cooks adept in a specific cuisine, battle their way up the kitchen hierarchy of a restaurant specialising in the same food, as we ask the question: "Can home cook passion beat restaurant professionalism?". But don't take my word for it, check out SBS for the down low on the show, the players and plenty of recipes and links to episode catch ups, so you can binge watch in your own time, should you be so inclined. On a more serious note, I'm excited and honoured to have been involved in this brand new show for SBS: being part of a prime time show where the key anchors are two first generation Australians of Asian descent and an Indigenous Australian. It makes me feel proud to see how far we have come as a nation and to challenge whose faces programmers think we want to see on the screen. SBS is a network built on the tenants of what makes our country great - celebrating our diversity and sharing the skills, knowledge and love from our original homes, to enrich this one...and I couldn't be happier to be part of showcasing the real face of this amazing country we call Australia. I hope you enjoy the show!